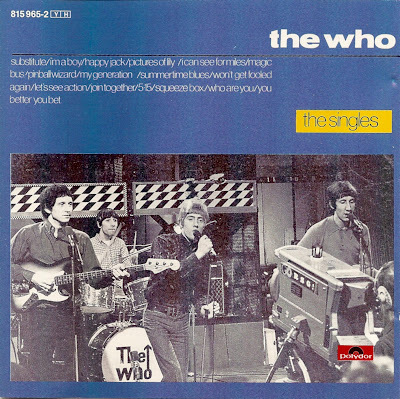 The Who are an English rock band formed in 1964 by Roger Daltrey (lead vocals), Pete Townshend (guitar, piano and backing vocals), John Entwistle (bass and backing vocals) and Keith Moon (drums). 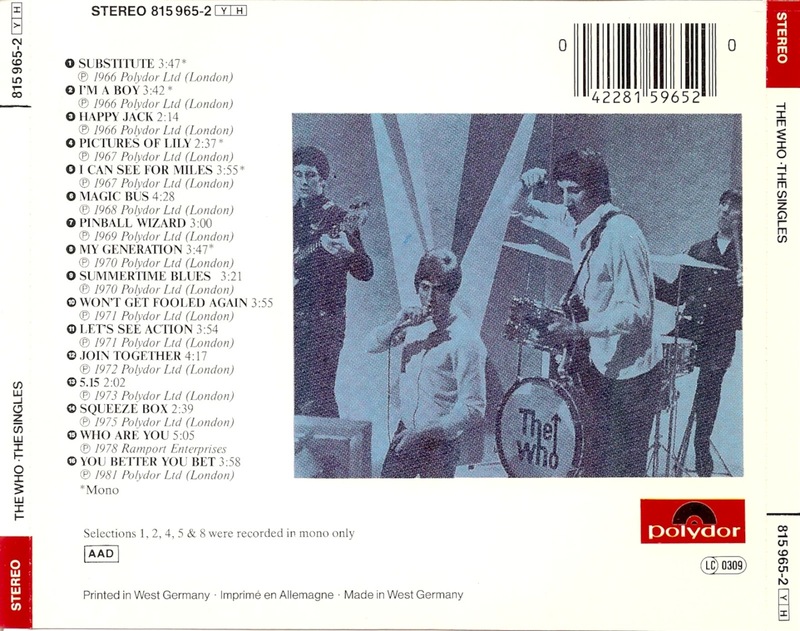 They became known for energetic live performances which often included instrument destruction. 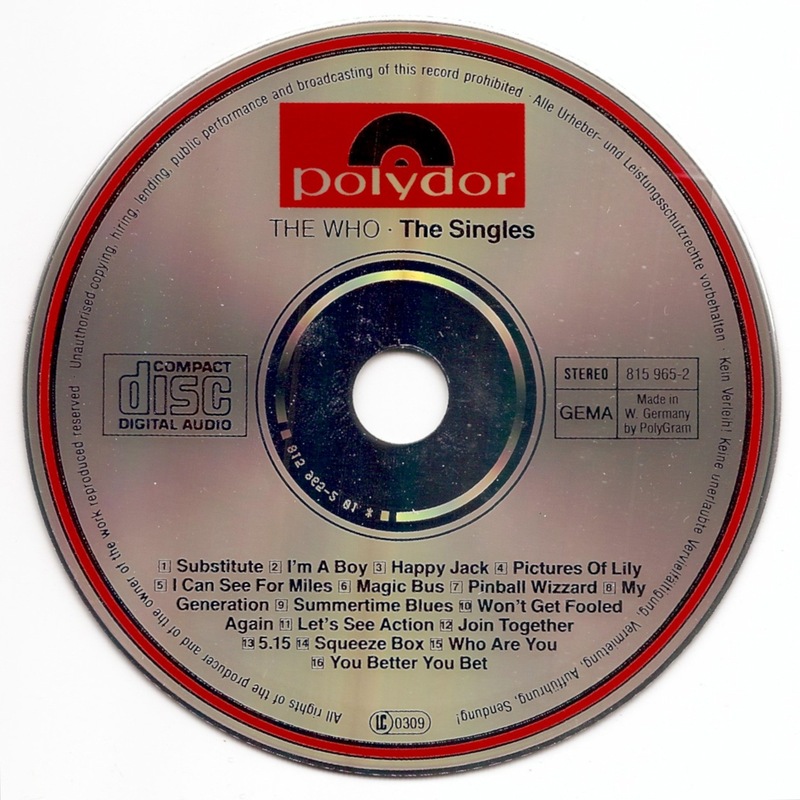 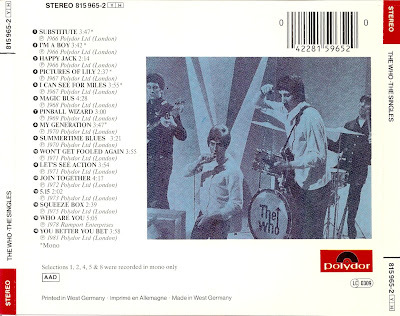 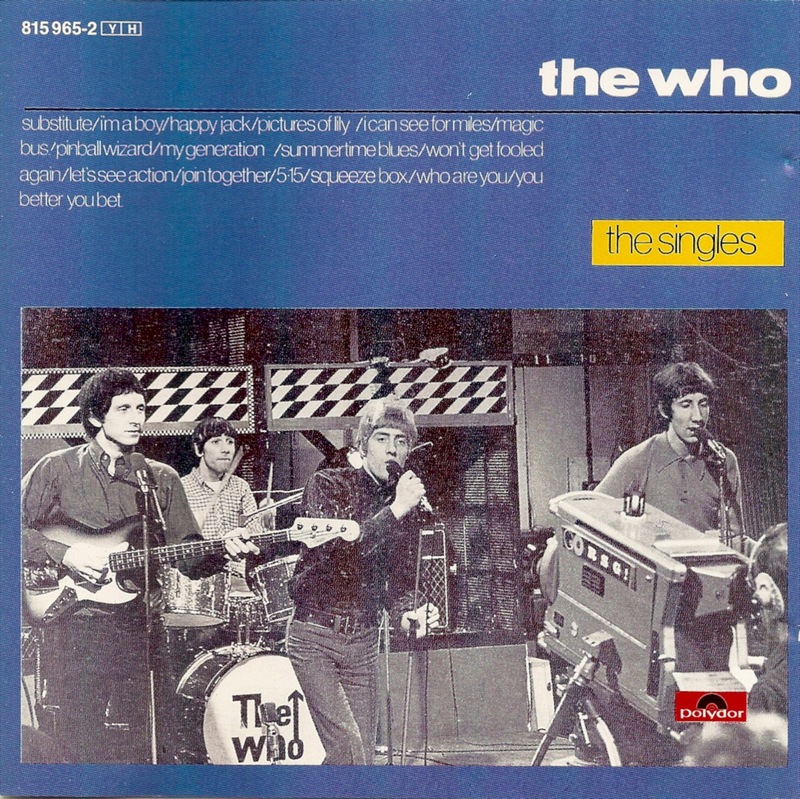 The Singles is a compilation of singles by The Who that was released in the November of 1984.